Sometimes those tacky tourist places are the best. That was the case with the Tequila Museum in Mexico City. 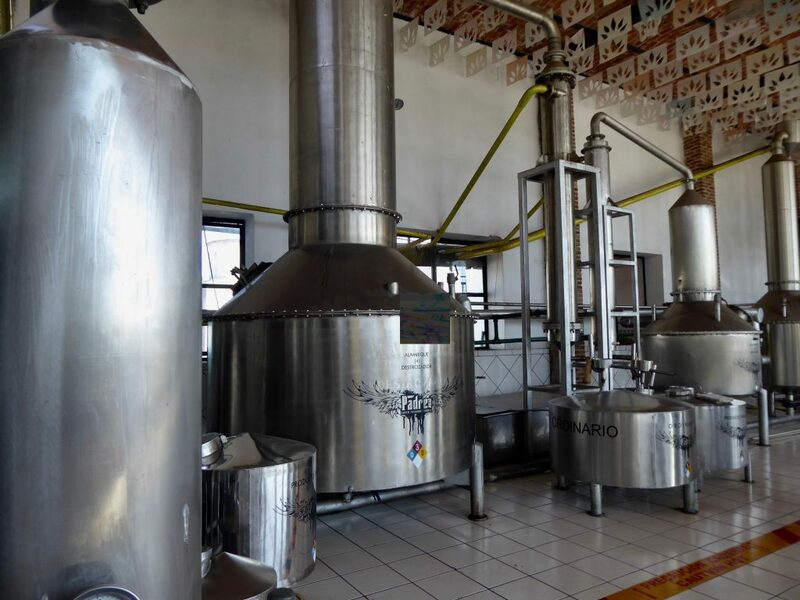 There is a self-guided tour about the production of Tequila. Then, on the roof, you are treated to samples—samples of tequila and samples of sombreros. Tequila was traditionally served with orange slices sprinkled with red powder. You bite into the orange and when just about finished with it, you sip the tequila. Sipping in an oversized sombrero, looking out at the evening skyline was good fun! 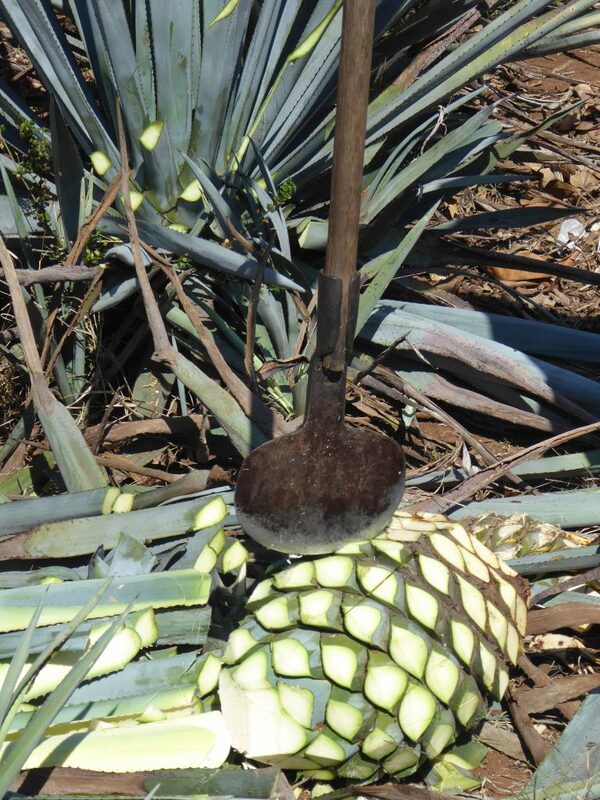 Tequila comes from the Blue Agave plant. That is pronounced AH-GAH-VAY. 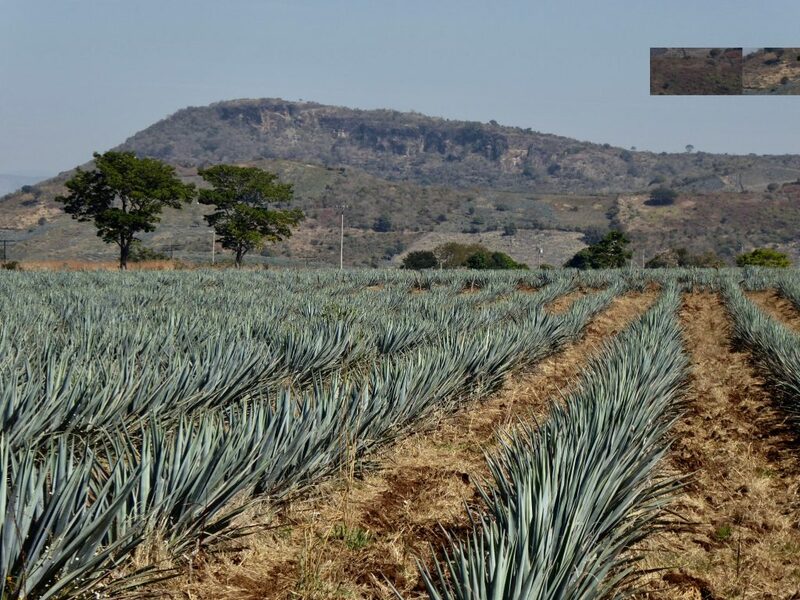 As you may have guessed, there are many Blue Agave plants in the Tequila Region of Mexico. (And since I was so close, I stopped in the Town of Tequila!) This Region is the place to go to admire fields filled with long lines of Blue Agave plants. The Blue Agave grow for six years until ready to harvest. Once the plant is ready for harvest, you chop the leaves to uncover the “pineapple.” I tried a bit of that and don’t know how the experts make it look so easy. These pineapples are quite heavy, about forty pounds. That is the part of the plant used to make tequila but the leaves can be useful; historically, the leaves were used to make clothe, sewing needles and paper. After the fruit is uncovered and collected, then they stuff the fruit into huge ovens and steam them. (Smoke them if you prefer to make Mescal.) Here is a picture of one such steam oven. Once steamed, then you ferment and distill the fruit. (Then the pulp of the fruit can be used as compost.) The next picture shows the distillery is at Tres Mujeres. Tres Mujeres is the name of the distillery where I took a tour and tasted their five levels of Tequila. Some are aged longer than others, creating a discernible difference in taste, of importance to the tequila aficionado. 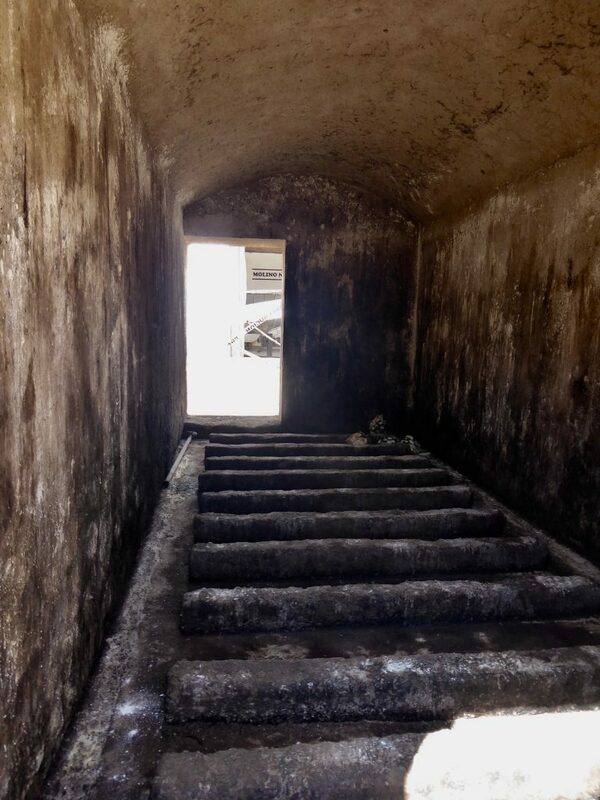 The tour guide said the barrels used to age tequila may be used only once, whereas wine barrels can be re-used. They served their tequila with a slice of lime and salt. While not a tequila drinker, I did prefer the taste of the mid levels. They say, Tequila is to Mexican alcohol as Champagne is to French alcohol. Consumer Alert: If you are buying Tequila, make sure the bottle says 100 percent Agave.